Please welcome RSC’s newest contributor, Barry, who drives for Uber and Lyft (mostly) in San Diego. Over the past few years, Uber and Lyft have seen an incredible boom of success. With the easy entry and the loaded promise of making substantial sums of money all on your own schedule, it’s obvious why driving for Uber or Lyft has become a go-to job for anyone looking to give their wallets a little extra padding. There are even drivers who, through commitment and perseverance, have turned rideshare driving from a side project to full-time career! With flexible hours, the promise of huge payouts and a relatively simple workload, rideshare driving almost seems too good to be true. So, like most modern skeptics or anyone who’s been curious about some of the advertised promotions out there, you may be wondering: what’s the catch? Can driving for Uber or Lyft really become a viable career, or is it all just a load of marketing misinformation? Taking advantage of one of their many new driver promotions, I started driving for both Uber and Lyft in the bustling city of San Diego late last year. In the beginning, the results were kind of a mixed bag. While the possibility to make a hefty amount of cash was definitely there, there was a lot of trial and error involved in figuring out just how to make ridesharing work for me. There’s a lot of competition out there and the more you know, the more likely you are to stand apart as an excellent Lyft or Uber driver. I’ve put together a few of what I feel are the most important things I learned during my first few months driving. Hopefully, these tips can help you avoid making the same newbie mistakes and set you on the path to success! Considering just about anyone can become a rideshare driver with just a quick vehicle inspection, the industry regularly runs the risk of becoming over saturated. This becomes even more of a problem when the big companies like Uber and Lyft start advertising new driver promotions, luring in loads of new drivers with promises of guaranteed income for the first few weeks of their employment. These surges aren’t constant and usually run in a cycle; one area will load up with new drivers, wait for most of them to drop off after a month or two and then leave behind a fleet of dedicated, highly rated drivers. It’s an easy way for Uber or Lyft to boost their income and increase their numbers, but it can be a real pain for drivers who depend on regular business to support themselves. Do yourself a big, big favor and research your area before you become a new driver. The best way to do that is to take an Uber or Lyft ride yourself. Does it only take two minutes for you to get a car where you live? That probably means the streets surrounding your home are pretty saturated, most of which are impatiently circling around waiting for a ping. Alternatively, if there’s a longer wait, chances are there are fewer drivers available to haul passengers – which is, ultimately, a good thing for you. It increases your chances at getting regular rides and, by proxy, increases your income. Try checking wait times in a few areas of town to gauge overall driver saturation in your city. Try to get a feel for what locations are usually swarming with drivers and don’t waste too much time chasing rides there. On that note, be mindful about chasing the surge, “hot spots” on your map. Hot spots occur (the map area turns a shade of red) when there’s a greater demand for cars than there are drivers available, and both Uber and Lyft will lure you in with the incentive of double, triple or sometimes even quadruple fares. It seems like an awesome deal, but most experienced drivers will warn you to stay away unless the hot spot is within a few minutes (5 minutes max) from your location. Their reasoning? Most surges only last a few minutes and will disappear before you get there, having lured in so many drivers that the spot instantly becomes flooded and rides become next to impossible to nail down. I experienced this a few times myself, and each time I abandoned my regular circuit to chase a spot, I found myself wasting time and gas (rushing to a spot uses more gas) for little to no pay off. Ongoing, I’ve had more luck by just staying put and letting all the other drivers go on the wild good chase while I picked up what they left behind. Find what spots work best for you, avoid places with too many drivers and trust your intuition when it comes to obvious hot spots. Remember, you and every other driver are looking at the same map and every car you see is just more competition. One of the biggest mistakes new drivers make is idling around in parking lots waiting for riders to magically appear. This will absolutely kill your cash flow, even if it seems like you’re being frugal about your gas. I would argue that the biggest enemy of any rideshare driver is wasted time. Every minute you spend waiting for work to come to you detracts from your average hourly pay and can be the difference between making a living wage and just making some spare cash. The most successful rideshare drivers are constantly on the move, hunting down rides and making themselves accessible across a wider radius. Map out a circuit around your area of choice, keeping yourself close to things like train stations, strip malls, colleges or bus stops (you’ll notice I didn’t say airports – more on that later), and then continue to loop those streets. On average, I picked up a few rides every time I went through my own circuit, many of which I would have missed out on if I’d been sitting still miles away. Now, while you should move to where the rides are, you should not drive around aimlessly once you get to an area where you’re likely to catch a request. Once you’ve mapped out your circuit, note the locations of places where you can easily pull over and wait for ten minutes or so. One of my biggest gripes as a rider is a driver who doesn’t know their way around town or makes me wait an extra five minutes while they try to figure out how to get into the parking lot I’m waiting in. Little inconveniences like that can set a really negative tone for your entire ride, so you’ll want to do your best to avoid them. If you’re going to drive for Lyft or Uber, set aside a day to just drive around and get a feel for how the streets work. Are there any strange intersections? Are there one-way streets or tricky highway ramps you’ll have to navigate? Is there a place you can safely pick up your passengers at curbside? How do you get in and out of the major businesses? Which sides of the street have even number addresses, and which have odd numbers? These are just a few of the important things you should be keeping an eye out for. Trust me, you’ll be glad you did when you’ve got an impatient businessman checking his watch in your back seat. One of the worst experiences I had as a driver was navigating a small private airport for the first time with a passenger who was already running late. Not only did I botch the pick up by taking extra time to figure out how to get to his location, but I missed the ramp out of the parking lot and we were forced to circle the lot a second time. He was less than pleased, and it could have been avoided entirely if I’d taken the time to drive through the area on my own and understand how the complicated, construction-covered streets worked. Since we’re talking about airports, let’s take a second and go over the finer points of these supposed moneymakers. Yes, people regularly use rideshare cars to get to and from the airport. It seems like an obvious way to make a lot of money in a short time, but things have changed in how Uber and Lyft handle the high traffic pings coming from airports. For starters, in an attempt to keep things fairly spread across drivers, Uber and Lyft have established queues to match rides to drivers. You automatically enter this queue once you enter a certain radius surrounding the airport and, on average, the wait time to catch a ride is easily an hour, sometimes more. There are actually designated parking lots set aside for rideshare drivers to sit and wait for their turn to come up, but remember earlier when I said wasted time is your worst enemy? That’s a whole hour you’re waiting for a single fare, which isn’t guaranteed to be a long ride. You can imagine how frustrating it is to wait that long only to get a ride five minutes down the street to the rental car place. Instead of catching two or three rides, you only made a few bucks in an hour. Worse yet, if you leave the area surrounding the airport, you are immediately removed from the queue and your place in line isn’t saved. You start all over again if and when you re-enter the queue, making it a pretty unforgiving and unwelcoming system for people actually trying to make a decent wage as a driver. Waiting at the airport often isn’t worth it. Beyond that, there are a lot of surprising legal issues surrounding airports. Every airport has a different set of rules, but some are incredibly strict about where you are and are not permitted to pick up guests. You can get in a lot of trouble for loitering where you’re not allowed, so make sure you take the time to research your local airport and see what the regulations are on Uber or Lyft for both picking up and dropping off passengers before you put yourself in a bad position. The bottom line? In my opinion, airports are rarely worth the wait and you’re much better off finding rides somewhere else. Most times I waited out the queue at the airport, I scored a ride that was no more than fifteen minutes long. I gave up on it shortly thereafter and went back to my regular circuit, where I was making way more money without the idling. Keep a tab on current events in your area. Things like concerts, sports games, festivals and farmers markets can all be great ways to score a few rides. Uber and Lyft will both e-mail you with some of the major events happening near your zip code, which can be incredibly helpful, but there’s always more to be discovered than what they’re offering to all of their drivers. (Remember – more drivers mean more competition!) Get to know when local events are happening and try to schedule around them so that you’re always one step ahead. If you’re willing to put in late hours, another great thing to be aware of is the closing times for local bars and clubs. The late night crowd is usually pretty lucrative and you’re doing everyone a great favor by getting intoxicated people home safe and sound. Just remember that there’s some unique challenges to the bar crowd. You’ll definitely meet some interesting people – a woman with no shoes once spent fifteen minutes telling me how happy her cat would be to meet me – and you definitely want to keep some carebags in the back seat, but it’s definitely an entertaining bunch and they tip very, very well. A major part of figuring out your take home income is considering all of the expenses that come with being a driver. If you’re full time, you will fill your gas tank at least every couple of days. Having a car with great gas mileage may not be an Uber or Lyft necessity, but it can be a massive boon when starting as a new driver. Other than that, however, what are some of the other regular expenses you’ll be responsible for? Firstly, there’s the cost of maintaining your car. You’re going to be putting a lot of wear and tear on your vehicle so be prepared to keep on top of oil changes, brakes and any other repairs that may show up during your travels. If a nasty pot hole busts your alignment, you’re going to have to repair that right away. Furthermore, you will need to wash your car regularly, which is something you’ll have to put aside both time and money for. On average, it took me about half an hour to fill my tank, thoroughly wash my car and get ready to roll. You’ll also want a way to easily track your expenses and mileage. For every 1,000 miles you drive for Uber or Lyft, you get a $545 tax deduction. The easiest way to keep track is to download a mileage and expense tracker, which will automatically keep track of your miles, and alert you to potential deductions. Here’s two of the most popular mileage and expense trackers among Uber and Lyft drivers. 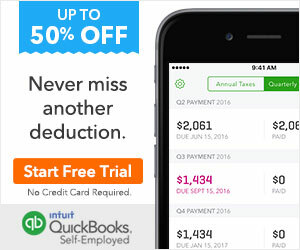 Most drivers prefer Stride, but Quickbooks integrates seamlessly with Turbotax. Some other expenses to keep in mind are food, whether that’s fast food joints or pre-packed lunches, and whatever amenities you’re offering to your passengers to earn that five star rating. One thing you’ll want to offer your passengers is a charging cable for their phone (make sure you have cables for both Apple phones and Androids). As for an auxiliary cable if they want to choose their own music, water bottles, tissues and small snacks, it’s up to you. Most drivers don’t and I wouldn’t say it’s necessary. You can choose just how far you’re willing to go to please and entertain your passengers. I’ve seen cars with LED lighting, touch screens on the back of their seats and so many snacks you’d expect a stewardess to be handing them out. Some cars have had toiletries and feminine hygiene products, which can be a real life saver, and others just had the basics of a few sick bags and water bottles in case of motion sickness emergency. Put some thought into what you might like to see as a passenger and invest a little to make sure your riders are comfortable and happy. They’ll thank you with good ratings every time. Last, but certainly not least, never forget to put aside some time for self-care. It’s surprisingly easy to get caught up in the hustle of chasing down rides or taking those pings back to back, but it’s important to take breaks every now and again! On my first day of driving, I was so excited to be getting so many rides that I went nearly nine hours without stopping to eat or drink. The massive headache I nursed on my way home was all it took for me to make sure I never made that mistake again. Pack yourself lunches or keep snacks on the inside of your car door to munch on between rides. Make sure you keep a bottle of water around to keep yourself from getting dehydrated. And, arguably just as important, absolutely make sure you get out of your car and stretch at least twice a day. Sitting in a car is actually terrible posture for your back and shoulders – just ask any trucker – but you can mitigate sore muscles by giving them a good stretch every now and again. Taking just a few minutes to take care of your body can help you alleviate a lot of aches and pains later. Keeping yourself happy and healthy will make your entire experience as a driver more positive, and let you share your good vibes with your passengers. Being a new driver can be pretty daunting at first. There’s a lot to learn and you have to be able to think on your feet in stressful situations like construction zones, heavy traffic and crowded parking lots. Being prepared ahead of time can make a world of difference and I hope the information here can help you feel a bit more confident as a new driver. It may seem overwhelming, but once you figure out the rhythm and flow of your area, ridesharing can be a really fantastic way to earn money, meet new people and enjoy the freedom of working on your own schedule. With a bit of extra time, dedication and the tips and tricks we’ve gone over here, you’ll be on your way to earning five star ratings in no time! Previous Post: How Will the IoT Help Uber and Lyft Evolve as Businesses in 2018? Next Post: Have You Considered Signing Up To Drive For Lyft? You Should.